REE of SN'EADS has a little fun with the new union between Kanye West and Kim Kardashian. Despite our best efforts to ignore it, the Kardashian saga is a guilty pleasure, and Kim's newly formed relationship with Kanye West has linked the reality family directly to our world. Since going public with the Louis Vuitton Don, Kim has occasionally ditched her stilettos for some of his favorite sneakers, including the "Cement" Air Jordan 3 and Kanye's Air Yeezy 2. 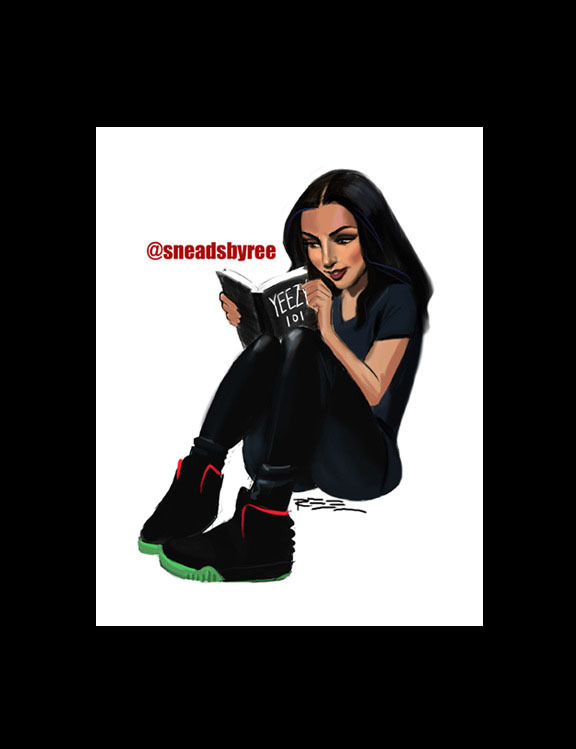 Having a little fun with the situation is our friend REE of SN'EADS fame, who created two limited showcasing the newest "sneakerhead" celeb. "Old Love/New Love" is a play on Kanye's last two prominent relationships and the different Air Yeezy models released during each timeframe. On the other hand, "Yeezy Taught Me" acknowledges Kim's recent shift in style, particularly her newfound fondness for tight leather pants (no complaints) and Yeezy 2s. 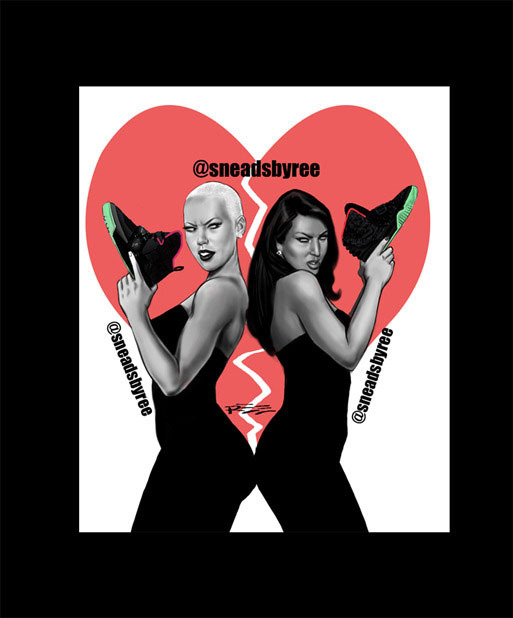 Limited to 20 pieces each, the prints are available on 11 x 14 high-quality matte paper for $40 at SneadsbyREE.